Unroll dough sheet; cut into 4 rectangles. 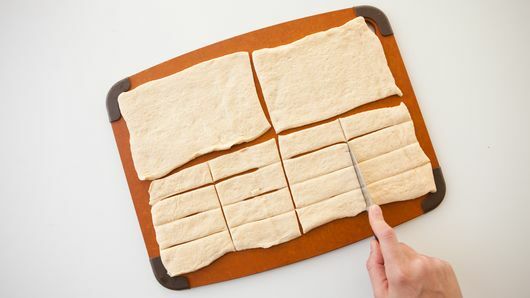 Cut each rectangle lengthwise into 4 strips; cut strips in half crosswise to make 32 dough strips. Place 1 olive on each strip. Wrap dough strip around olive. 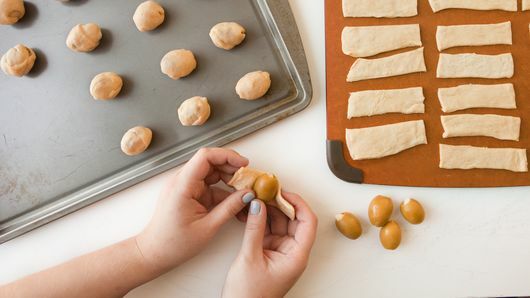 Roll between palms of hands until olive is completely covered with dough. Place on cookie sheet. 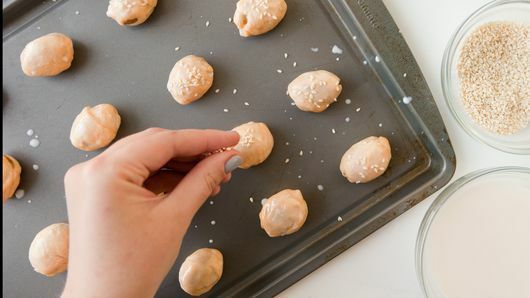 Brush milk over top of each bite; sprinkle sesame seed over top of each. 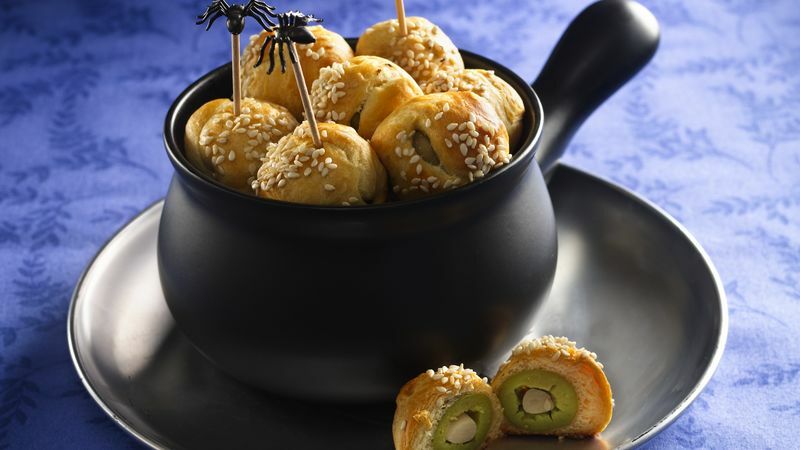 After wrapping the dough around the olive, roll between the palms of your hands to seal them completely. Substitute pimiento-stuffed large olives for the garlic-stuffed olives.